For Asus Zenwatch 3 WI503Q smart watch ONLY. Not fit Asus Zenwatch 1st, Asus Zenwatch 2nd or any other version. 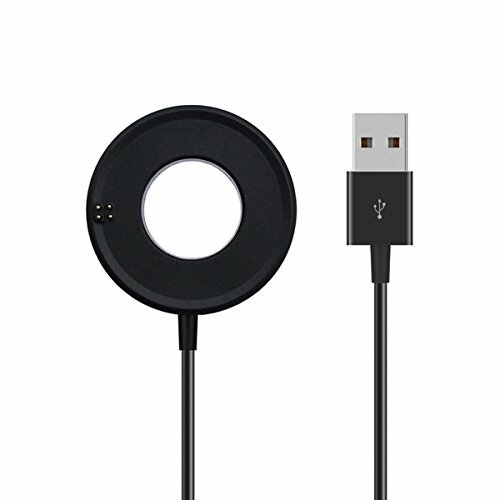 Replacement Charger Cable for Asus Zenwatch 3 WI503Q smart watch. Not fit Asus Zenwatch 1st, Asus Zenwatch 2nd or any other version. Voltage Regulator (PTC): Prevent your Asus Zenwatch 3 from being damaged by over-current/over-voltage. Extra charger for the convenient of using in Office, at Home or on Travels.